A small disclaimer I didn’t buy this book it is Denise’s. Any one that has watched The Great British Sewing Bee (GBSB) will know which pattern enticed Denise to get this book and it would be interesting to know how many of the sales of this book was for the same reason. The pictures are very clear, but I was left with a feeling of just how many of these clothes could actually make it in the ‘real’ world, not many. but you also had this and this WTF??? Now if you are thinking of buying this book with a view to making any of the projects please be aware that the sizes although they say S,M L,XL this is extremely misleading. 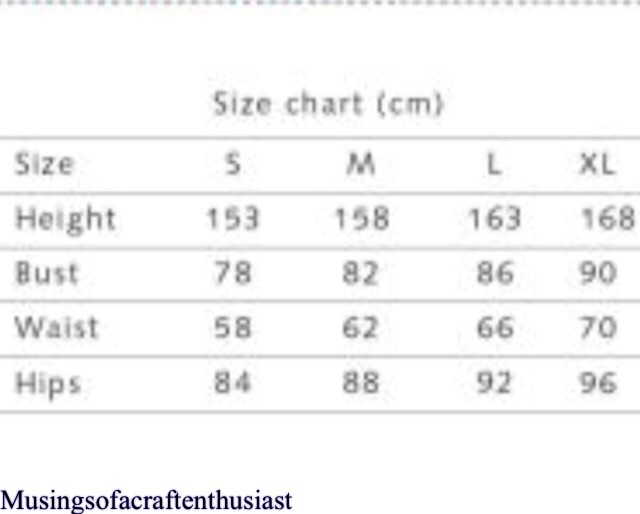 For instance the XL is for a 5ft 6 inch (ok so far) woman with a 35 1/2 inch bust 28 inch waist and 38ish hips, the sizing is approximate as they are all in cm. As one reviewer put it on amazon ‘Pixie Sized patterns’. 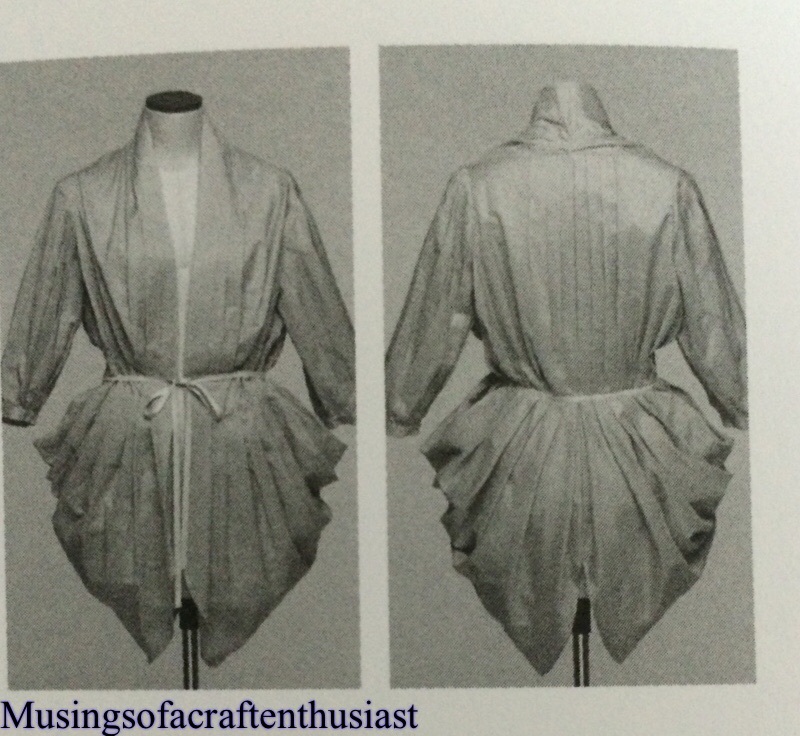 So if you fall within the narrow sizing options or are comfortable sizing up you then get to enter the minefield of tracing off the pattern. ‘The Pattern’ is on sheet 2, (I think) you then spend a couple of minutes trying to work out what you want to trace off, which I did. After tracing it off I’m thinking that it was a bit small which is when I realised that my drawing needed to be lined up a further two more times on the same sheet, you had the front half, the back half and the hem. 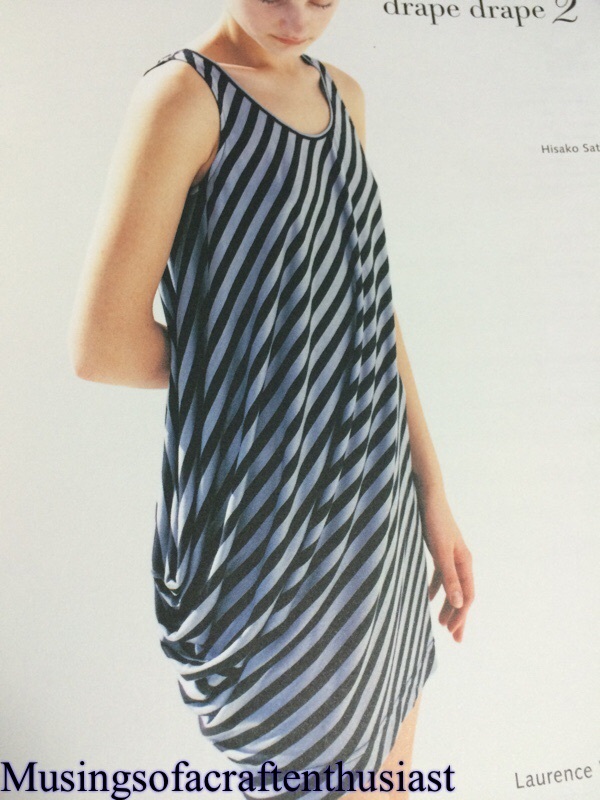 The whole experience was very reminiscent of the Burda magazine patterns I attempted to trace off in the late eighties early nineties, which as far as I can remember was never a success. 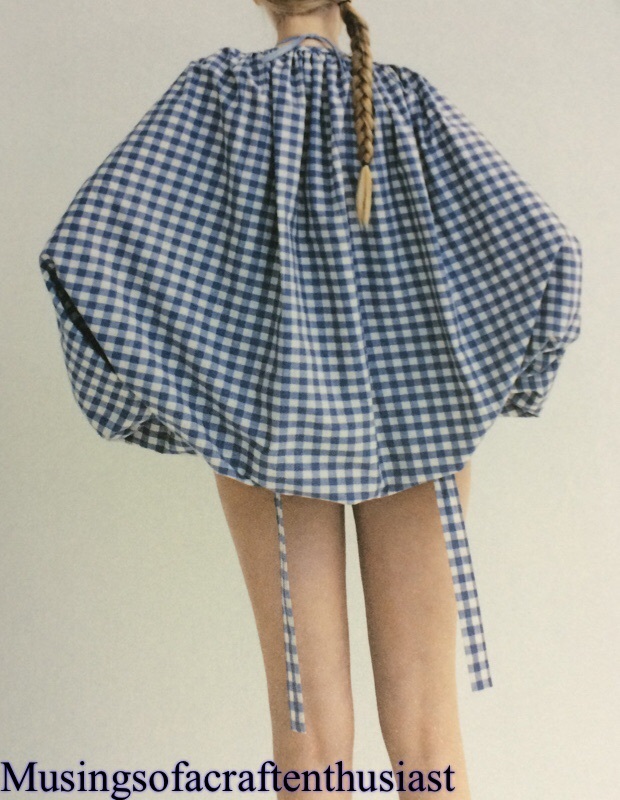 So If you want to just admire the pictures and wonder how they got the models in to these outfits then go ahead and buy it, or if you want to make the patterns and you are a ‘pixie’ sized person this is the book for you. 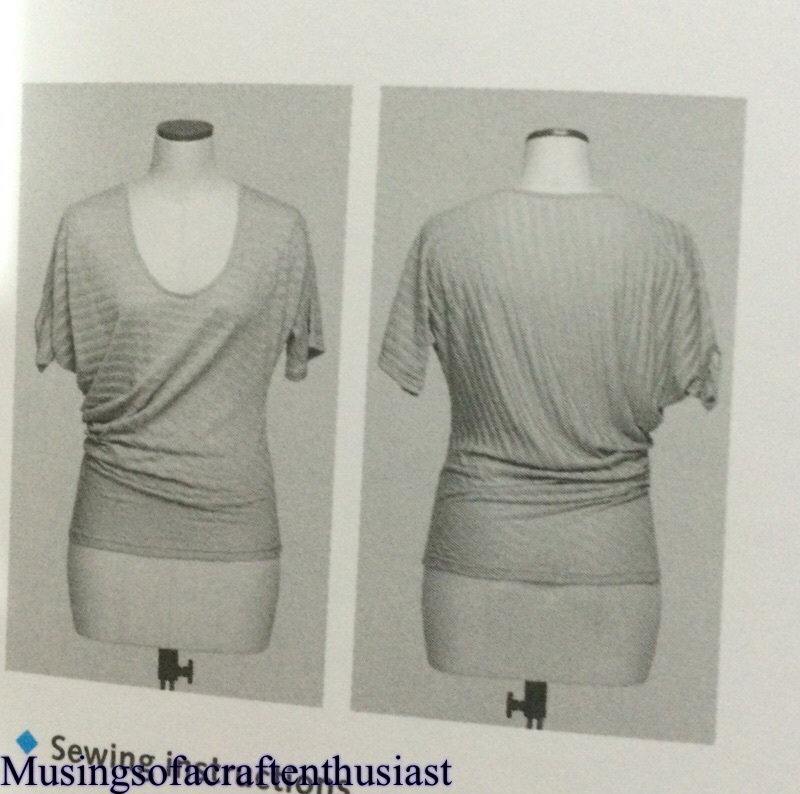 hopefully I will have an photo of the asymmetrical top soon to show you. 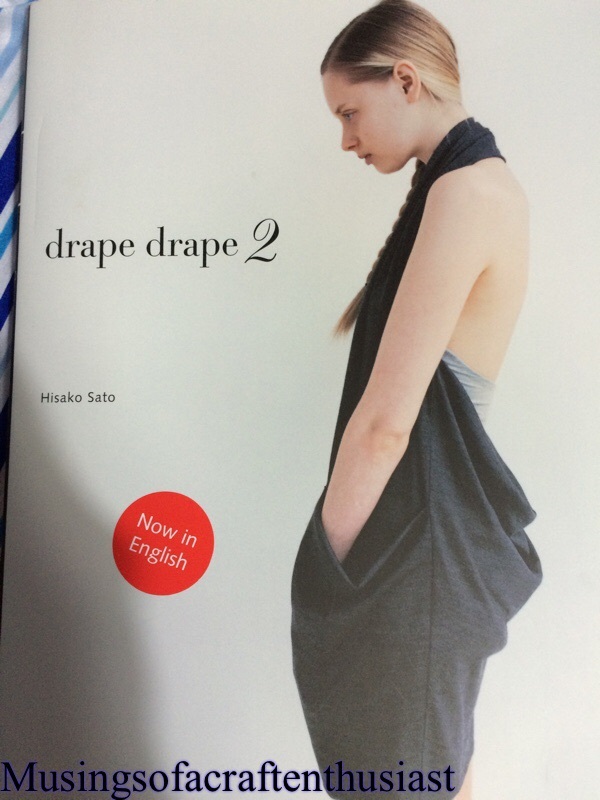 Posted on 04/08/2015, in Book Review, Drape Drape and tagged #GBSB, Book Review, Drape Drape. Bookmark the permalink. Leave a comment.